Earth's Best Second Vegetables are made with no added sugar, artificial flavors, colors or preservatives. Vegetables are made with organic ingredients grown from the earth without harmful pesticides. 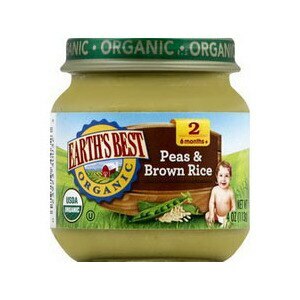 Ingredients: Organic peas, water, organic brown rice.